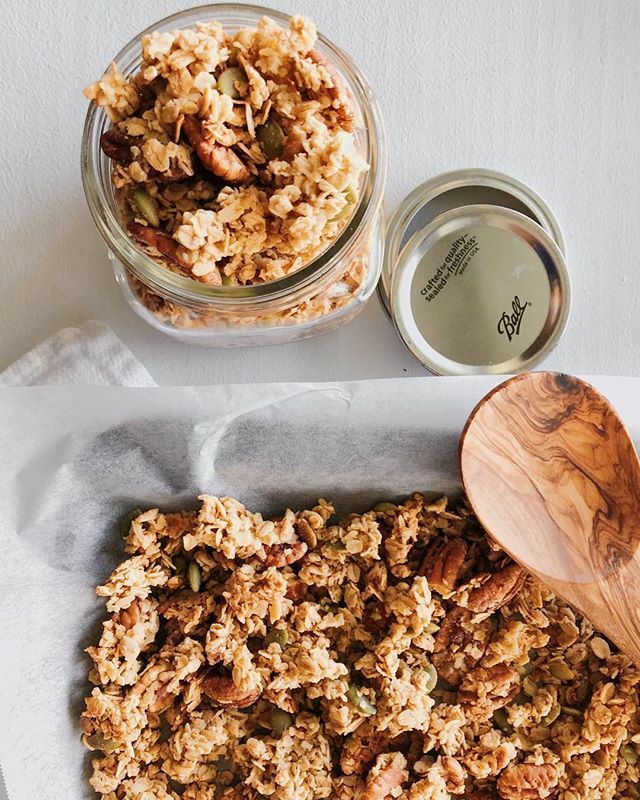 Maple Brown Sugar Granola with Pecans and Pepitas. The easiest #homemade gift to give this holiday season. But don’t forget to make an extra batch for yourself! Recipe link in bio.